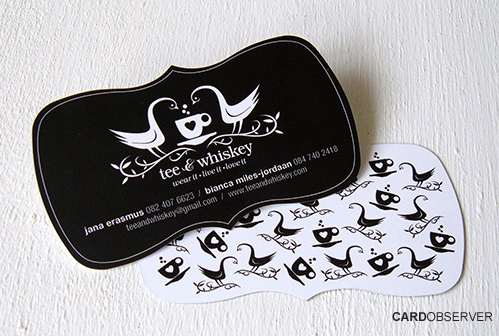 A bow tie shaped business card done for Tee & Whiskey, a clothing company. It is printed in solid black on a 300gsm white card with a nice laminate finish. Nice shape and design.